Although it might still be pretty cold out at sea most days it's certainly starting to seem like the start of spring. It's always nice to see the dolphins around in the channel when the sprats start to move in on the wrecks. 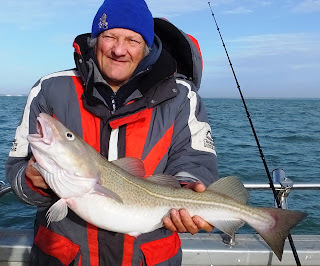 On our first wreck trip a couple of weeks ago a large pod of dolphins turned up at the mark we were fishing and we had to move as the pollock went right off the feed due to the dolphins chasing the sprats about. 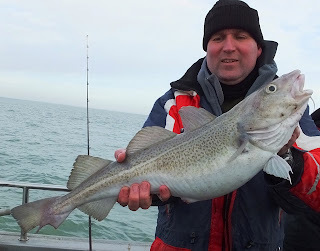 This was just a small speed bump on our first wreck trip of the year and we managed plenty of fat spring pollock well up into the double figures. Elsewhere we are still getting the best fishing I've seen in a long time on the banks for rays and spurdogs. This should continue into April before the temperature starts to rise slightly and the spurs disappear for another year. Our biggest to date this season is 25lb 4oz but unfortunately it was not overly keen on having its photo taken so we weighed and released her quickly. 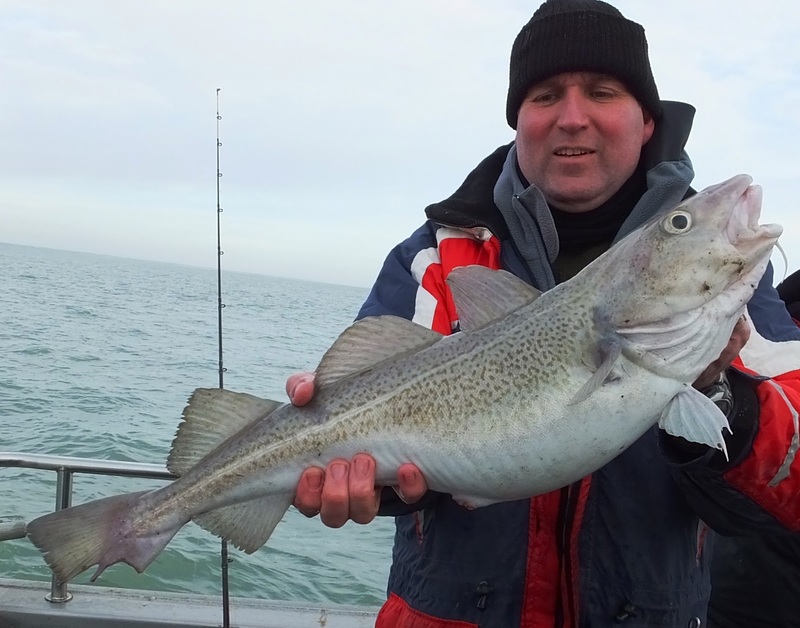 This Monday will see our first trip down to target the turbot and brill of this year and wednesday will be our first crack at the plaice with the light gear.